Some people think life is boring. You work so hard it seems to them you don’t have time to enjoy life. But the truth is? When you love what you do, even if it means staying in your room the whole day (once in a while) doing your thing, is priceless. The most important part is you know you’re doing these not just for yourself. You’re doing these to help your love ones and others may it be directly or indirectly. –that is significance. Yes life is short, so why not live a life to the fullest? I value significance more than success. Significance is when you give efforts not only to take care of yourself but to care for others too. That’s why I considered it a blessing to have two foster kids. They are actually my niece and nephew. If not because of them, my patience wouldn’t be tested with their restlessness and clumsiness (you know kids are kids). My dreams would not be alive again after a love one’s death if these two kids are not around. They have taught me that there are more things to live for and they’re one of them. I remember, I taught Sachi and Lucho to save. Their mother gave them two small plastic piggy banks. One day, when we decided to get all the saved money to buy them school supplies, I was amazed by what Lucho have said. He was actually giving all his saved money to his sister so that Sachi can buy 2 pairs of shoes. I was in awe and happy to see them giving each other. I know there are still a lot of hard work to shape them. Environment may influence them good or bad but I hope when time comes, these kids will adapt what I’ve been teaching them. That even if they’ll return to their true parents, they will carry in their hearts the love and values I’ve planted and they too will share them to others. 1. Do you want to learn how to invest in the stock market the easiest and safest way? Be a member of the Truly Rich Club now. We help good people become rich. 2. Planning to take a vacation? 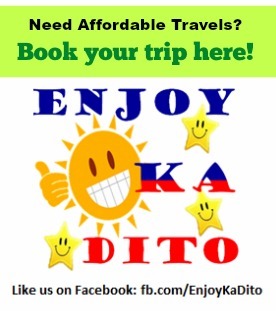 Visit Enjoy Ka Dito Travels for affordable tour packages. 3. Looking for durable and trending furniture Check out:https://homeplusplusplus.wordpress.com for more details.